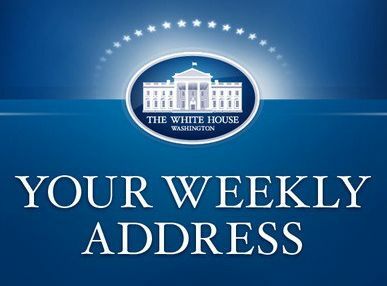 WASHINGTON, DC— In this week’s address, President Obama commemorated Memorial Day by honoring the brave men and women in uniform who have given their lives in service to our country. As we stand with our veterans and military families this weekend, the President underscored our commitment to uphold our nation’s sacred trust with our veterans and ensure they get the benefits and opportunities they deserve and have earned. Hi, everybody. It’s Memorial Day weekend – a chance for Americans to get together with family and friends, break out the grill, and kick off the unofficial start of summer. More importantly, it’s a time to remember the heroes whose sacrifices made these moments possible – our men and women in uniform who gave their lives to keep our nation safe and free. From those shots fired at Lexington and Concord more than two centuries ago to our newest generation of veterans of the wars in Iraq and Afghanistan, our history shines with patriots who answered the call to serve. They put their lives on the line to defend the country they loved. And in the end, many gave that “last full measure of devotion” so that our nation would endure. Every single one of us owes our fallen heroes a profound debt of gratitude. Because every time we cast our votes or speak our minds without fear, it’s because they fought for our right to do that. Every chance we get to make a better life for ourselves and our families is possible because generations of patriots fought to keep America a land of opportunity, where anyone – of any race, any religion, from any background – can make it if they try. Our country was born out of a desire to be free, and every day since, it’s been protected by our men and women in uniform – people who believed so deeply in America, they were willing to give their lives for it. We owe them so much. So this Memorial Day, we’ll gather together, as Americans, to honor the fallen, with both public ceremonies and private remembrances. And I hope all Americans will take a moment this weekend to think of those who have died in service to our nation. Say a prayer in their memories and for their families. Lay a flower where they’ve come to rest. Reach out to service members, military families or veterans in your community, or families who have lost loved ones, and let them know that their service and sacrifice will never be forgotten. Most of all, let’s keep working to make sure that our country upholds our sacred trust to all who’ve served. In recent weeks, we’ve seen again how much more our nation has to do to make sure all our veterans get the care they deserve. As Commander in Chief, I believe that taking care of our veterans and their families is a sacred obligation. It’s been one of the causes of my presidency. And now that we’ve ended the war in Iraq, and as our war in Afghanistan ends as well, we have to work even harder as a nation to make sure all our veterans get the benefits and opportunities they’ve earned. They’ve done their duty, and they ask nothing more than that this country does ours – now and for decades to come. Happy Memorial Day, everybody. May God watch over our fallen heroes. And may He continue to bless the United States of America.